Nourish’s Nutrients and You lessons are short lessons to guide teachers in teaching about nutrition. These lessons can be adapted not only for the classroom, but also for P.E. classes. While recognizing the academic load that teachers are required to teach students, we believe the best way to share nutrition education, might be tapping into P.E. classes as it already focuses on human wellness. These lessons cover the very basics of nutrition education ranging from carbohydrates to vitamins and minerals. This lesson walks students through the types of carbohydrates and how each of them work in our body. This lesson introduces students to probiotics and bacteria. 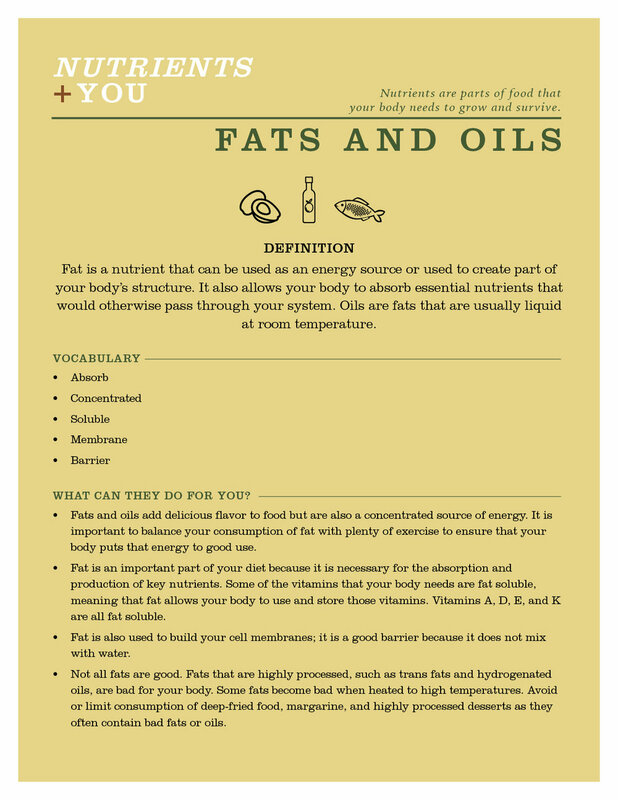 This lesson helps students understand the types of fats we can get from food and why we need them. 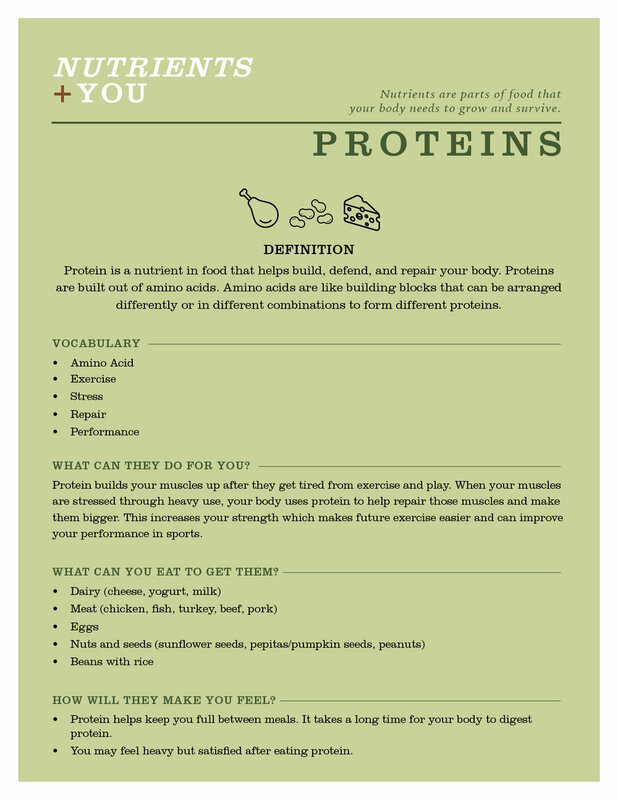 This lesson introduces the building blocks for protein and where we can find good sources of protein. This lesson educates on a few of the various vitamins we need and how we can get them all.